Anaesthesia, OMC, Hyderabad is posted as Professor of Anaesthesia at GMC, Secunderabad in the existing vacancy. On promotion, Dr.S.Srinivas Satyanarayana, Associate Professor of Neuro Surgery, GMC, Secunderabad is posted as Professor of Neuro Surgery at OMC, Hyderabad in the existing vacancy. On promotion, Dr. Ravisekhar Rao, Associate Professor of Ophthalmology, GMC, Nizamabad is posted as Professor of Ophthalmology at GMC, Secunderabad in the existing vacancy. On promotion, Dr.J.Venkata Durga Siva Prasad, Associate Professor of STD, OMC, Hyderabad is posted as Professor of STD at OMC, Hyderabad in the existing vacancy. On promotion, Dr.K.Ramesh Kumar, Associate Professor of TB&CD, OMC, Hyderabad is posted as Professor of TB&CD at OMC, Hyderabad in the existing vacancy. On promotion, Dr.K.Sampath Kumar, Associate Professor of ENT, OMC/ENT, Hyderabad is posted as Professor of ENT at OMC, Hyderabad in the existing vacancy. On promotion, Dr.B.Sree Ramulu, Associate Professor of Prosthodontics, GDC & Hospital, Hyderabad is posted as Professor of Prosthodontics at GDC & Hospital, Hyderabad in the existing vacancy. 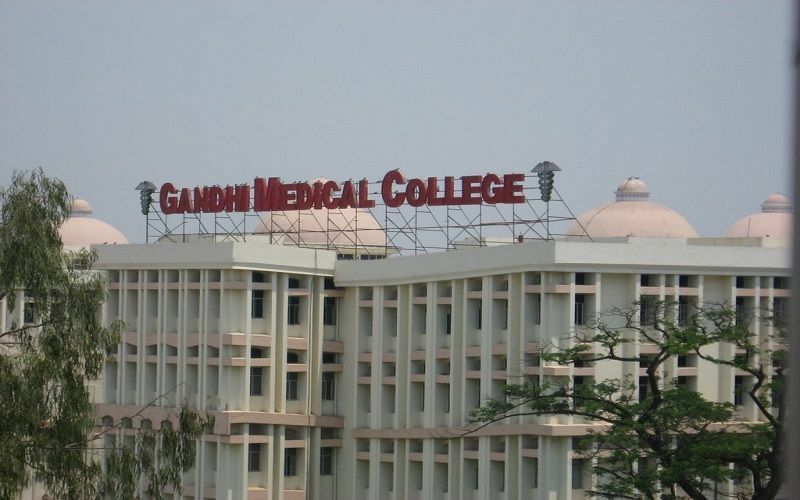 On promotion, Dr. V.Shiva Prasad, Associate Professor of General Medicine, OMC, Hyderabad is posted as Professor of General Medicine at GMC, Secunderabad in the existing vacancy. Dr.P.V.Praveen Kumar in the panel of Associate Professor of Anaesthesia fit for promotion as Professor of Anaesthesia, for the panel year 2017-18 against RP-18. Dr.S.Srinivas Satyanarayana in the panel of Associate Professor of Neuro Surgery fit for promotion as Professor of Neuro Surgery, for the panel year 2017-18.
forwarded vacancy of RP-6 (SC-VH). Dr.J.Venkata Durga Siva Prasad in the panel of Associate Professor of STD fit for promotion as Professor of STD, for the panel year 2017-18. Dr.K.Ramesh Kumar in the panel of Associate Professor of TB&CD fit for promotion as Professor of TB&CD, for the panel year 2017-18 against RP-5. Dr.K.Sampath Kumar in the panel of Associate Professor of ENT fit for promotion as Professor of ENT, for the panel year 2017-18 against RP-8-ST.
Dr.B.Sree Ramulu in the panel of Associate Professor of Prosthodontics fit for promotion as Professor of Prosthodontics, for the panel year 2017-18. Dr.V.Shiva Prasad in the panel of Associate Professor of General Medicine fit for promotion as Professor of General Medicine, for the panel year 2017-18 against RP-20.